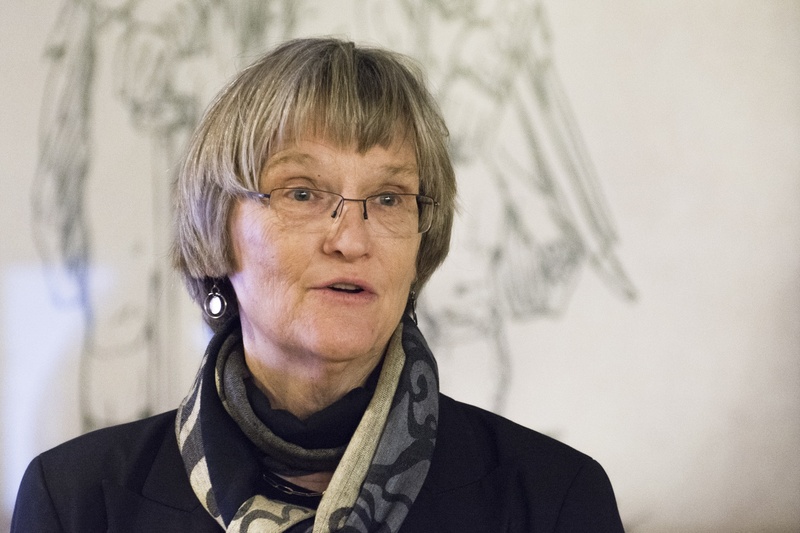 University President Drew G. Faust praised service members and affirmed the University’s renewed commitment to its military programs at a Pusey Library event Thursday. Undergraduate ROTC students, active duty service members, veterans, and top administrators, including Dean of the College Rakesh Khurana, gathered at the event, which showcased an exhibit about Harvard's long history with the armed services. The free public exhibit, called “‘To Better Serve Thy Country’: Four Centuries of Harvard and the Military,” was organized at the request of the Office of the President, University Archives curator Juliana Kuipers said. Faust thanked service members in attendance and said she hoped the exhibit honored their sacrifice. The University has a centuries-old relationship with the United States military, but it has at times been strained. Harvard severed ties with its ROTC programs in the Vietnam War era following student protests, and only re-recognized Navy, Army, and Air Force Reserve Officer Training Corps programs in 2011, 2012, and 2016, respectively. Harvard Veterans Alumni Organization Director Jonas P. Akins ’01, a Navy veteran who spoke at the event, praised Faust’s decision to bring ROTC programs back to campus. “While there is still work to do, and adjustments in relationships like this will always have to be made, I’m very grateful for the leadership of President Faust in returning the military through ROTC and other means to a place of prominence here on campus,” Akins said. “I’m glad that Harvard again values, and hopefully will continue to value, those who have served and will go on to serve in service of the nation and the long Crimson line,” he added. “To see it kind of morph into this, where the school is putting on something at this level—putting the resources to it, the history going into this—it’s just an incredible feeling and it makes me very proud that the school and another great institution like the military are able to kind of partner in something like this,” Godfrin said. Harvard Air Force ROTC instructor Captain Peterson Dela Cruz said events like this exhibit help increase the military’s exposure on campus. He said that since the University brought the Air Force program back to campus last April, enrollment in the program has doubled. “Harvard stresses service a lot, and a lot of it tends to be toward public service, but you could include military service toward that,” Dela Cruz said. ROTC members on campus said they appreciate the University’s renewed commitment to the military. Kate Krolicki ’20 and Raul Cuevas ’20, both freshmen Air Force ROTC cadets, peered into the glass casings of the exhibit, filled with old photographs, letters, and maps. One black-and-white image showed cadets standing on the steps of Widener Library. “It makes you feel like a part of the history here,” Cuevas said.